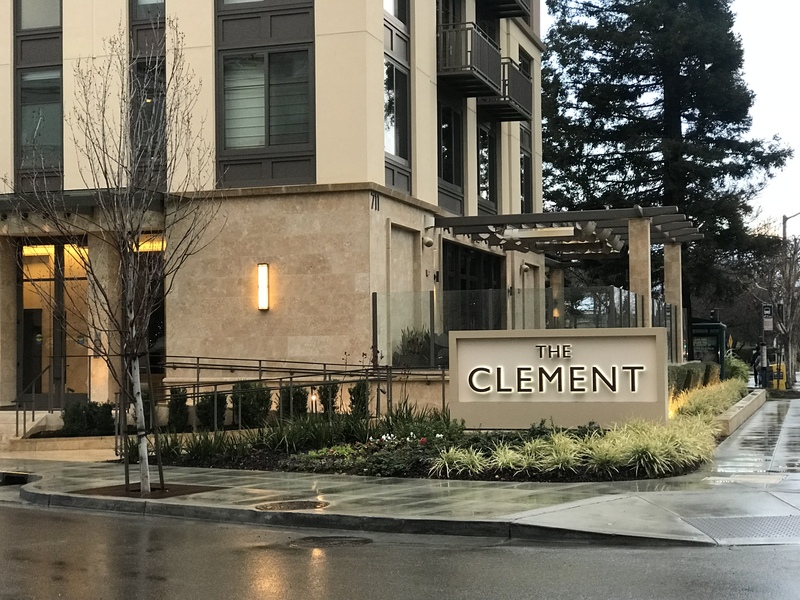 My husband and I just spent a romantic getaway at the all-inclusive The Clement Hotel in Palo Alto, CA. I knew before arriving we were in for a luxurious experience, knowing all the food & beverages (including alcoholic beverages) were all inclusive. However, even coming in knowing I was in for a treat, the service, food, and atmosphere still exceeded my expectation. The valet parking at The Clement Hotel is free, so when we arrived we were off to an easy start! When we pulled up our car, we were met with two of the hotel’s employees, one who took our bags to our room and offered us a glass of champagne, and the other checked us in and gave us a tour of the hotel. Everyone was so kind and helpful in showing us around the hotel and getting to know the amenities inside and out so we could make ourselves feel more at home. We stayed in a one bedroom suite. It includes an incredibly spacious living room with a massive flat screen TV, a Nespresso machine, and a desk to work. Upon arrival, they left a bottle of red wine and two wine glasses for us, as well as inside our fridge a cheese plate, veggies & hummus, sodas, tonic water, sparkling water, and juices. We also had a basket of snacks and many bottles of Voss water! Before arriving, they emailed me a pre-arrival survey asking what my favorite food and drinks were. I had said my favorite snacks were cheese plates and veggies & hummus, and my wine preference was any red. And sure enough that’s what they left specifically for us! Personalized notecards they leave in your room! Then in the bedroom was a comfortable queen bed, with another large flat screen TV, and a cute little zen garden that said “Welcome to The Clement.” The mattress and pillows were so comfortable, I had an easy time sleeping (normally I can have a bit of a hard time falling asleep at a hotel). Then the bathroom. Let me tell you, the bathroom at The Clement Hotel was so incredible! Not only does it have a heated toilet seat, but the FLOORS are heated! It sure is nice to step out of a bath or shower on a cold day have have warm bathroom floors! The bathtub was spacious, and they left a bath sponge and bath salts. I took a bubble bath while watching TV (yes, there’s a TV in the bathroom too!). They also have rain head showers and double sinks, so its incredibly easy and relaxing getting ready in the morning. As I mentioned, food and drinks are all inclusive! You can order food to your room, or you can eat in the dining area downstairs. It’s an intimate dining area beautifully decorated, with large windows to let in a lot of light. It is connected to the open concept kitchen where chefs prepare your food. The kitchen also contains a refrigerator that guests can access and help themselves complimentary 24/7 that has snacks, grab-and-go breakfasts, drinks, and desserts. There is also a rooftop pool, jacuzzi, as well as rooftop menu and bar (although since it was raining we didn’t take advantage of this, but I included pictures I took of the space). They also have a business center, fitness center, and a living room where you can be served cocktails (don’t forget, its inclusive! ), or just relax by a fireplace on their comfy couches. I truly can’t recommend The Clement Hotel in Palo Alto enough. The service was great, and the food was absolutely delicious. The design and comfort of the hotel was also impeccable. You can learn more about staying at The Clement Hotel here.